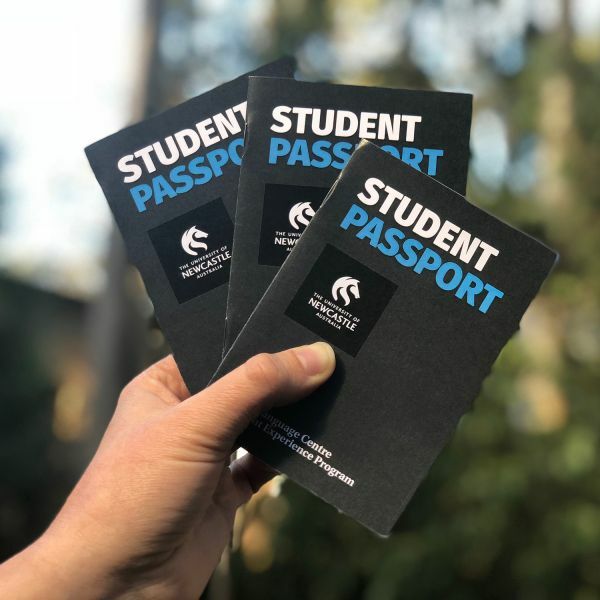 International University of Newcastle student, Elissa Choudery, said the Student Experience Passport enriched her daily life beyond the classroom. “It’s the perfect guide, encouraging students to go outside to explore the environment and meet new people. For those students with English as a second language it’s a great opportunity to practise new language skills,” Elissa said. Students can track their progress and development throughout the program. For each completed activity students collect a stamp, and the collection of 20 stamps culminates in receiving a coffee voucher and entry into a prize draw. The NSW International Student Awards on 25 September celebrated outstanding international students across the state, and acknowledged organisations that excel in supporting international students. Director of the Language Centre, Associate Professor Seamus Fagan said winning the award was a remarkable achievement. “It is a testament to the Language Centre team, in particular Anne Burnett and Tim Hyde who developed the passport. It demonstrates the considerable focus we place on improving the overall living and learning experiences of our International Students,” Associate Professor Fagan said. Minister for Trade and Industry, Niall Blair, addressed the Awards finalists and winners and acknowledged international students’ valuable contribution to the State, and the NSW Government’s commitment to making their study experience the best it can be. “Last year more than 230,000 international students enrolled in courses across NSW’s excellent education institutions, helping to make NSW the vibrant, multicultural place that it is,” Minister Blair said.